Glisan Commons Phase II is under construction in the Gateway area of East Portland. The project, designed by Carleton Hart Architects for REACH Community Development, will provide 60 units of senior housing for those earning 30-60% of area median family income. The building is designed to allow residents to age in place, with features that include handrails in the hallways and fully accessible units. A 25,000 sq ft warehouse at 1638 NW Overton Street is set to be redeveloped into creative office space. The design by Beebe Skidmore Architects takes the existing 1960 CMU block building and carves out new windows and tenant entrances on the exterior faces. Existing roll up doors will be replaced with storefront glazing or glazed roll-up doors. Internally, the warehouse will be divided into 5 units, with shared a shared lobby accessed from NW 17th Ave and NW Overton St. The property is currently being marketed to prospective tenants by Melvin Mark. The Jefferson Street Flats are under construction in Goose Hollow. The project by Vallaster Corl architects for Mill Creek Residential Trust will include 134 residential units in a 5-7 story building. 121 car parking spaces and 150 long term bicycle spaces will be located in two levels of below grade parking. Amenity spaces for the residents will be located on the ground level facing SW Jefferson St, and on a 750 sq ft roof deck. 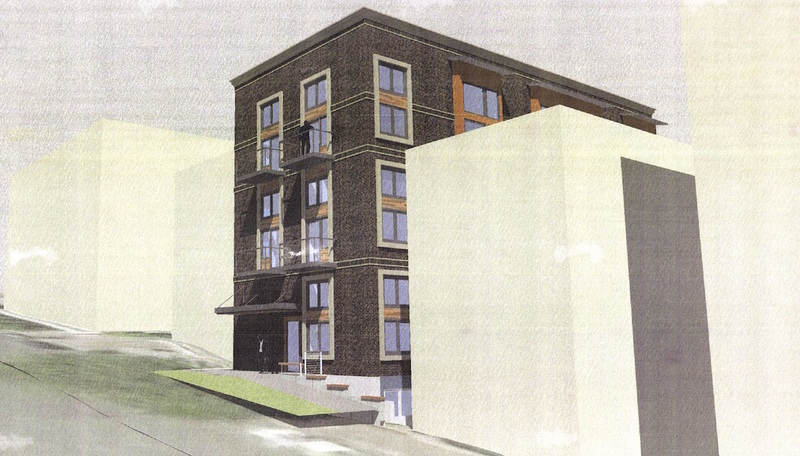 A building permit is under review for MODS Willamette, a two story residential building at 8332 N Willamette Blvd in the Cathedral Park neighborhood. The project by Works Partnership will utilize pre-fabricated modules, arranged to create six residential units, of one or two bedrooms each. Proposed exterior materials include board-formed concrete, vertically-oriented cedar tongue-and-groove siding, two shades of Swiss Pearl cement composite panels, and fiberglass windows. Vertically-oriented wood slat screens are used to create enclosed porches at the ground and second floors. Steel planters are proposed in the required 3′ side setback, and will be planted with native grasses and sedges. No off street car parking is proposed. A bicycle storage area will be provided in the basement. Construct new three story apartment building with courtyard on the 100×100 corner parking lot. Pre-Application Conference to discuss a Type III Design Review for a new 14-story residential building with ground-level retail. The building will contain approx. 98 dwelling units and have 52 on-site mechanized parking spaces. The applicant intends to utilize FAR transfer and earn bonus height. 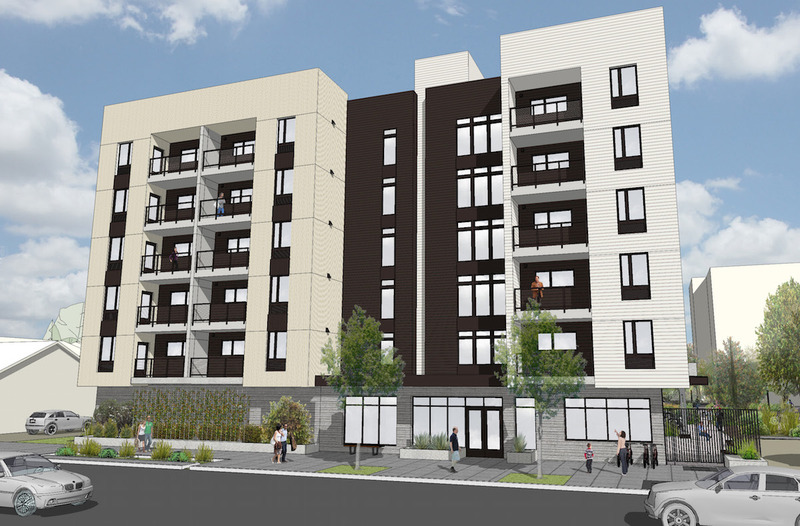 New 4 story mixed use building, 69 units, parking, bike parking and trash storage at underground level, includes associated site work mechanical and electrical require separate permits. Permit submittals shall include revised main building permit drawiings. Construct 3 story apartment building with 11 units, 4 single story units on main floor and 6 2 story units on 2nd/3rd floor; detached covered bike parking and trash enclosure at NE corner of property, less than 120 sf in area; includes associated sitework, landscape, drywell. The United Carriage and Baggage Transfer Building is being converted into the Pine Street Market. Metro President Tom Hughes warned that a lawsuit against the Convention Center Hotel could jeopardize Portland’s chances of holding an NBA All-Star Game in 2017 or 2018. Eater PDX reported that ChickPeaDX will be one of the first tenants at The Zipper, the under-construction micro restaurant project on NE Sandy Blvd. Park Avenue West has reached its full height. A topping out ceremony was held on Thursday. The long vacant 321 Glisan building in Old Town has been sold to developer Brian Wannamaker. Work to convert the former cold storage building into offices began in 2007, but stalled during the recession. 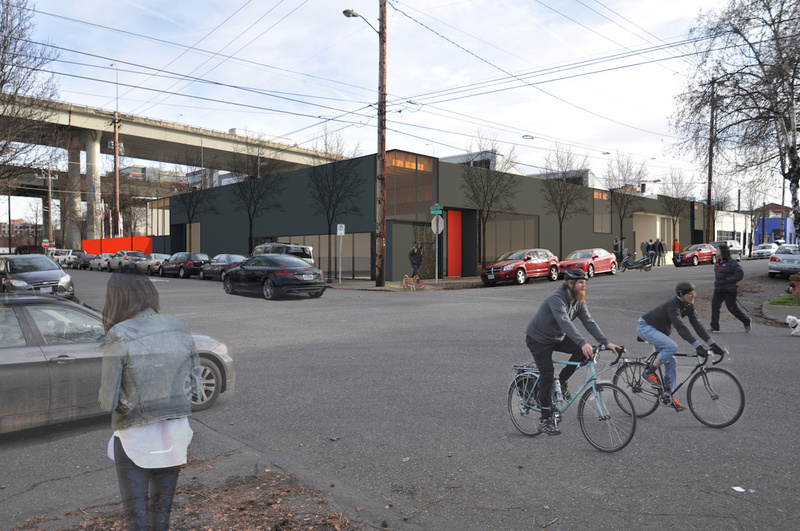 The Ecotrust has expanded its plans for a Central Eastside food hub. In addition to The Redd, it has purchased another city block bound by SE 7th Ave, SE Taylor St, SE 8th Ave and SE Salmon St. Restore Oregon, a historic preservation non-profit, is lobbying the state legislature to pass the Revitalize Main Street Act. If passed, the bill would provide a 25% rebate for certified rehabilitation of historic commercial buildings. Portland Architecture discussed the bill and its potential impacts with Peggy Moretti, executive director of Restore Oregon. Saint Cupcake, Tiger Tiger Salon, and Breighela James Boutique will be the first tenants at the Mason Williams on N Williams Ave. 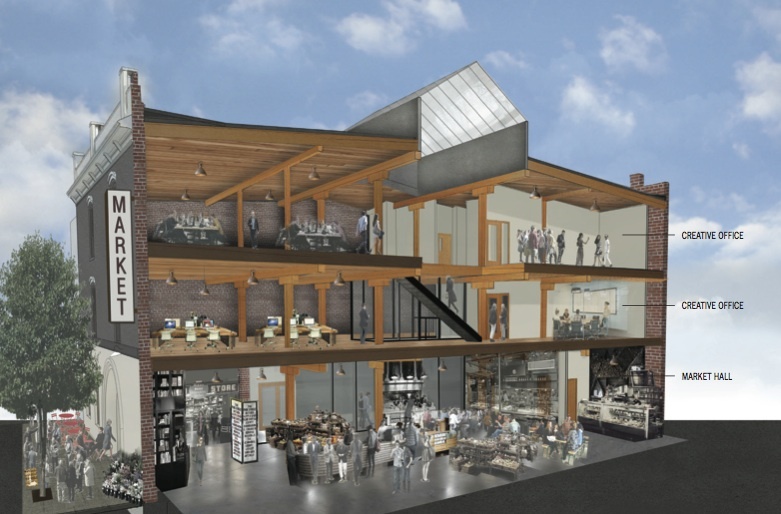 The Portland Mercury had a look inside the United Carriage and Baggage Transfer Building, which will be the home of the Pine Street Market. The redevelopment of the Grove Hotel is moving forward. The project is now planned as a 112-room “lifestyle boutique hotel”, with a $25 million budget. Koz Development have requested Design Advice for their proposed micro apartments at 2161 SW Yamhill in the Goose Hollow neighborhood. The 55’-6” tall building will contain 30 units, with mezzanine sleeping lofts. Exterior materials include brick, metal panel, wood, fiberglass windows and painted steel balconies. No car parking is proposed. The drawings show a secure bike room in the basement. 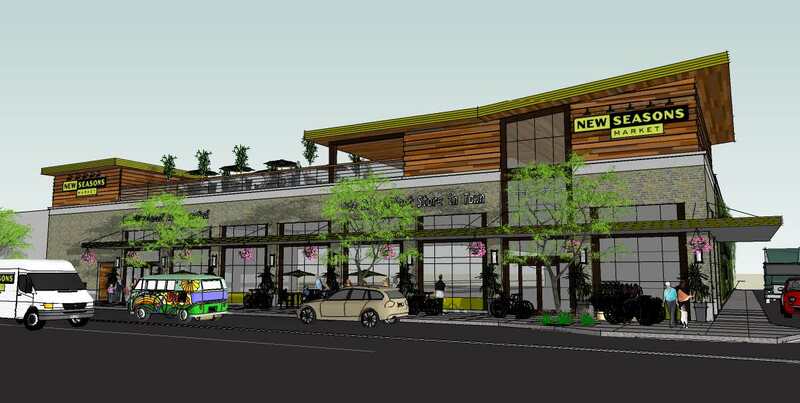 A New Seasons Market is under construction in the Woodstock neighborhood. The 25,000 sq ft grocery store will be built over three levels: an underground level with parking for 56 cars; a street-level store with covered bike parking; and rooftop level with a semi-enclosed dining area for customers and offices for store personnel. The design of the store is by LRS Architects. The Glendoveer Woods Apartments are under construction in East Portland’s Hazelwood neighborhood. The design is by Salem-based architects Studio 3 for developer Marathon Acquisition and Development. The 4 story building will include 113 residential units, with a mix of studio, one and two bedroom apartments. 115 surface car parking spaces will be provided, along with 124 outdoor bicycle parking space. The primary exterior material will be fiber cement siding. 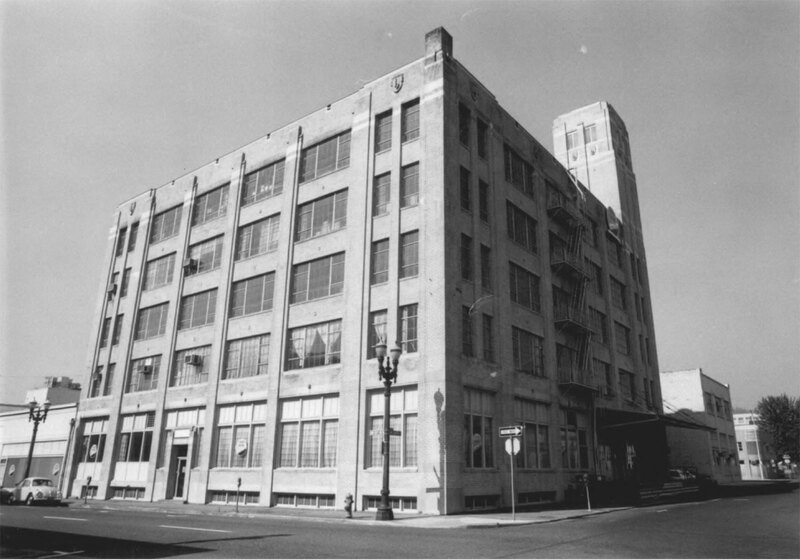 The Ballou & Wright building in 1986. The building is listed on the National Register of Historic Places. Renovation of existing 5-story historical building with basement: new roofhouse penthouse, new interior communicating stairway from basement to roof, removal and replacement of restrooms at each floor, and structural upgrades. Two new office buildings. Site is a brownfield and improvements involve the construction of new roads and utilities. New 4 story mixed use building ground floor residential upper floors residential. Four-over-one apartment building with 1 level of parking on undeveloped lot. Pre-application conference for Type III Design Review to renovate the Conway Leland James Center bldg into creative office space. This project will entail significant exterior alterations. The building will contain 85 parking spaces in the basement, ground floor retail and office and office space in the 2-4 floors. 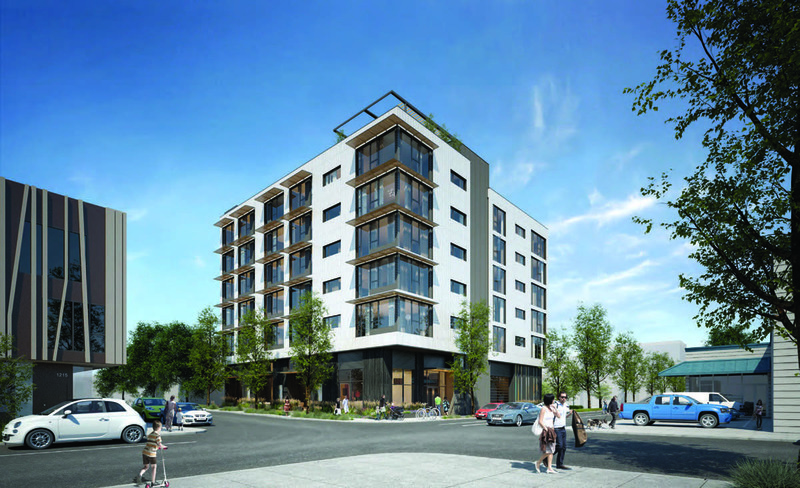 5-story wood framed apartment building containing approx 40 dwelling units and 21 surface parking spaces. Renovate existing industrial building, including the addition of a new 8,500 sq ft 2nd floor. 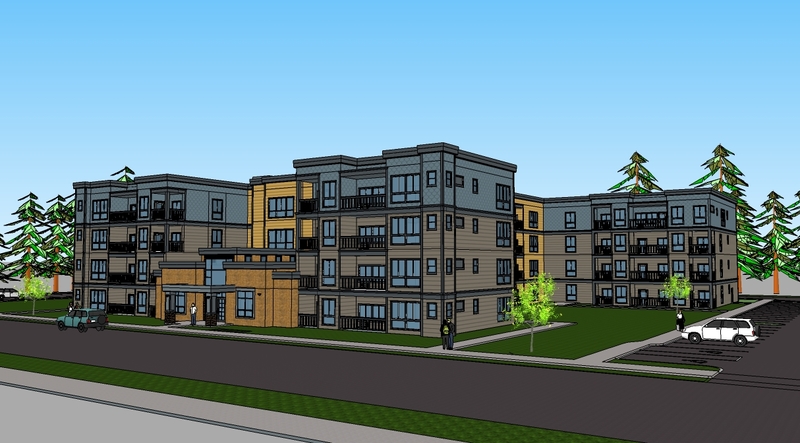 Proposed residential condominium building contains 16 dwelling units. Structure will face SW Market St and SW 20th Ave. Proposal includes underground parking this is accessed via SW 20th ave.
6 story – 204 unit market rate apartment building with ground floor retail and one level of below grade parking. 3 modifications total. Mixed use building with retail space on the first floor and an expected mix of creative office uses on the upper floors.